After last week’s The Last of Us I’m pleased to give to you the next entry in my so-called “Summer Zombie Survival Trilogy”. 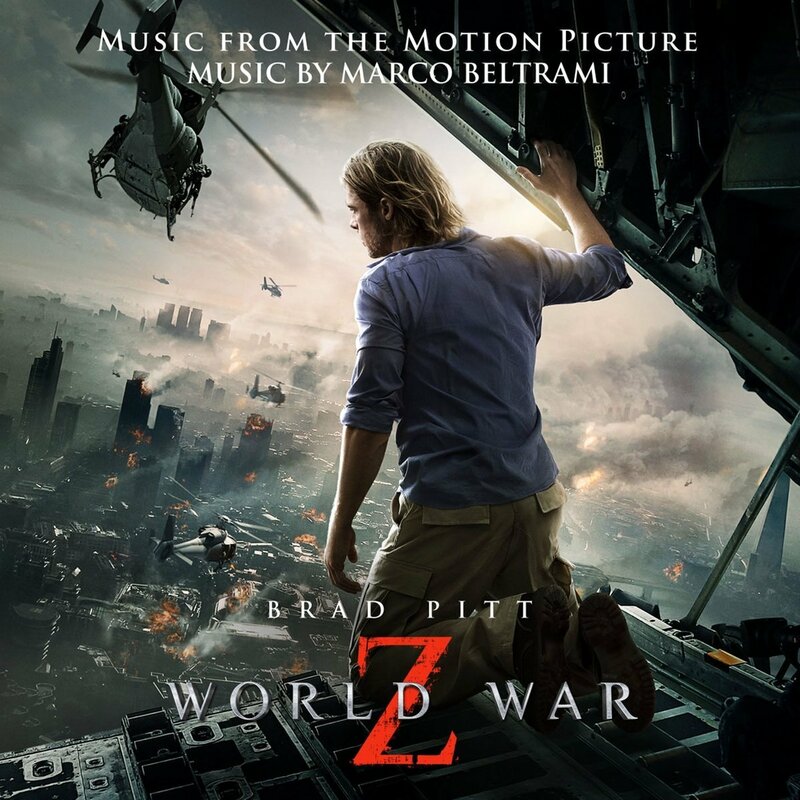 Marco Beltrami’s World War Z. I always enjoy the clear sound and dynamic range in Marco’s scores and this one makes no difference. Next to Chris Young he’s probably my favourite horror genre composer out there. Add to this a pulsating main theme by Muse (which didn’t make the album cut sadly) and you’ll get one of the best and most thrilling scores of the summer. The concept for my main custom cover (#1) was there from the very beginning. My first atempt had a plain black background, but I didn’t get all that excited for it. I tried various background textures until I found an awesome Photoshop filter called “Machine Wash Deluxe” by Mister Retro. Their Manhattan texture was exactly what I was looking for, since it both graphically and thematically was a perfect match for the movie. To make everything look coherent, I wanted to use the films font type for the album credits. A quick analysis presented me several fonts, but no exact match. So I ended up combining two different fonts (CMTiempo and CrazyCrazy) to be as acurate as possible. I hope you like this design as much as I do. I also had to remake the official cover artwork (#2) since I just can’t stand that dull Trajan font type anymore. I have nothing against it if it’s used in context, but not on every other soundtrack. In the wake of the film Warner Bros. Records also released a World War Z Remixes EP, which I haven’t heard yet and – in all honesty – am not especially keen to do so. But because the official artwork wasn’t exactly a sudden burst of creativity, I tried to cobble something together (#5), that was at least a little more original on its own. I used a version of the teaser poster and realigned the film logo to fit in every element properly. If you happen to call this EP your own, you’re welcome to use this custom cover in your digital library in order to differentiate the two albums visually. An advertisement campaign, that significantly resembled the one from I Am Legend a few years earlier, accompanied the films release. Playing with the usual theme of global (Photoshop) disaster we were blessed with fairly common pictures of worldwide mass destruction. Despite this artistic desolation I decided to use them for a custom cover series (#7 to #16). The willing fan is happily invited to use them for eventual “Recording Sessions” or a “Complete Soundtrack” for instance – if there is such a thing.